Meet Hazel One-Eye, the Royal Boar, Lord and Master of the Guinea Pig Empire. He started off teeny weeny and turned out enormous and bossy. 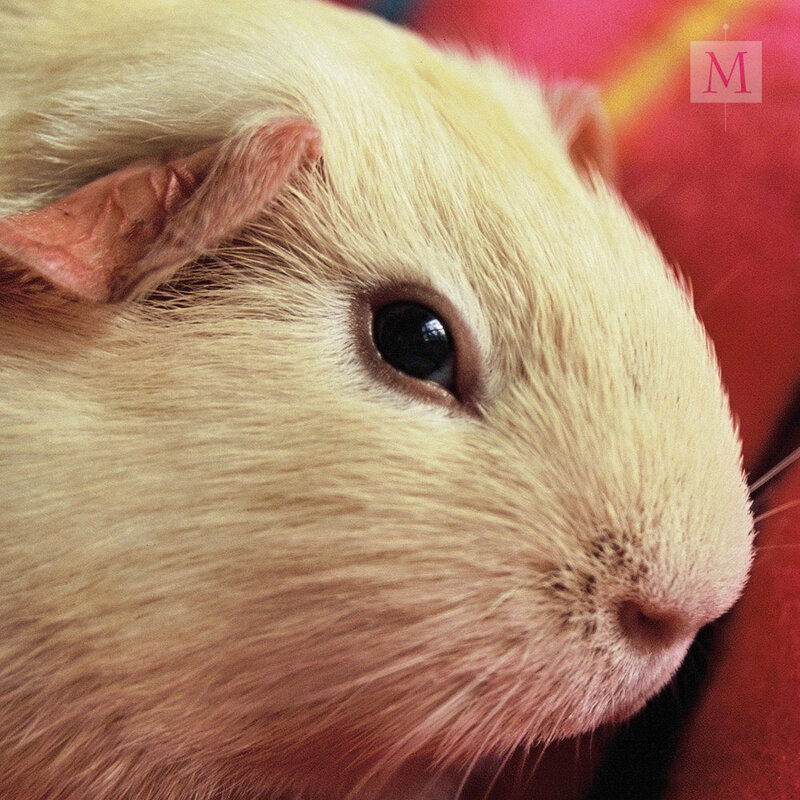 Hazel is a pedigree cream guinea pig – his rose-petal ears are a sign of fine breeding. He became a battle-scarred warrior, which improved his temper because it got him a lot of attention. 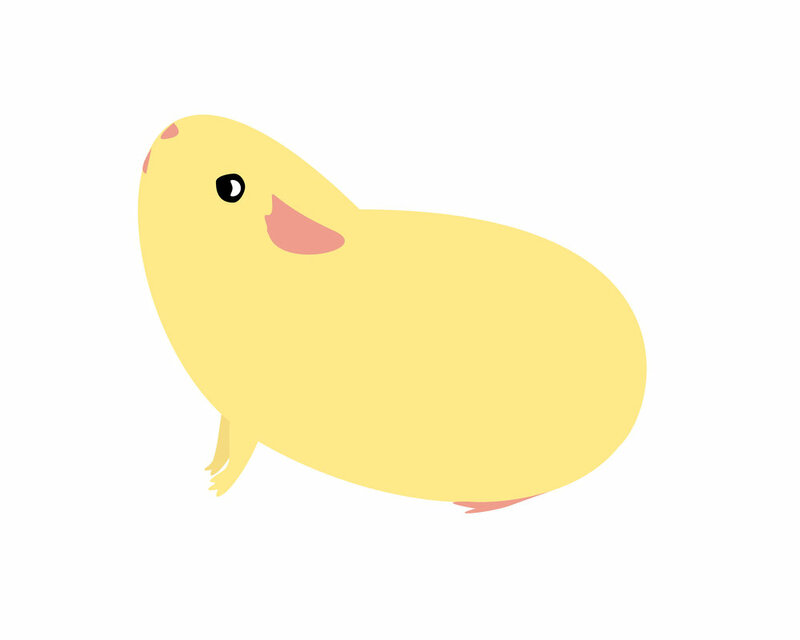 Hazel is busy co-authoring The Guinea Pig Trilogy and making a ton of Hazel merchandise, which you’d better buy if you want to stay in his good books. This is Chestnut Pink-Foot, who later became Chestnut Cyclops. Chestnut is a handsome mongrel with pedigree in his ancestry. Chestnut started off as an anxious pig with a fine bottom, and turned into a laid-back pig with an even finer bottom. Becoming one-eyed helped his confidence (it was less easy to see trouble coming). Chestnut was Hazel’s companion when they were babies. Choklit got his nickname for his gentle calm nature and lovely fat tummy. He's a handsome mongrel like Chestnut but with different ancestry. His squeaks are the dark chocolate sort. Deep and sweet. 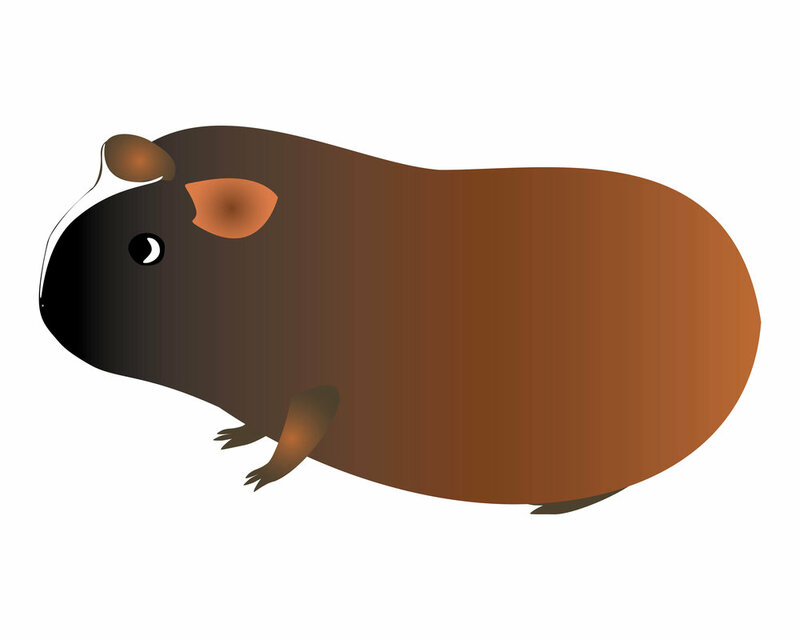 Choklit was in love with Hazel One-Eye, but Hazel treated him meanly to show who was boss. You can read all about it in Pig Tails: The First-Ever Guinea Pig Novel. Little Spot was named for the tiny white spot on the top of his head. He’s a ridgeback guinea pig. His ridge makes him look like a tiny stegosaurus. Little Spot is bossier than Choklit but not as bossy as Hazel One-Eye. Little Spot is a drama-pig. If you pick him up he shrieks with his mouth wide open, but it’s all an act. He started off slim and speedy, and became the Venerable and Speedy Grandfather. Blackberry once lived all alone. He was a lonely only pig. Being an only pig is a depressing fate. 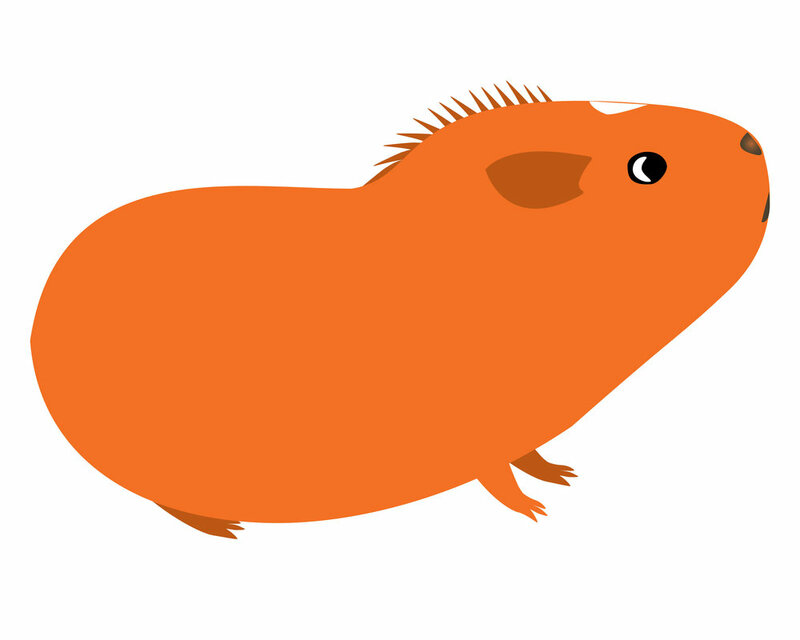 Guinea pigs are social animals and MUST have company. He came to live with Hazel and Chestnut and Choklit and Little Spot, and ended up with tons of company and attention.